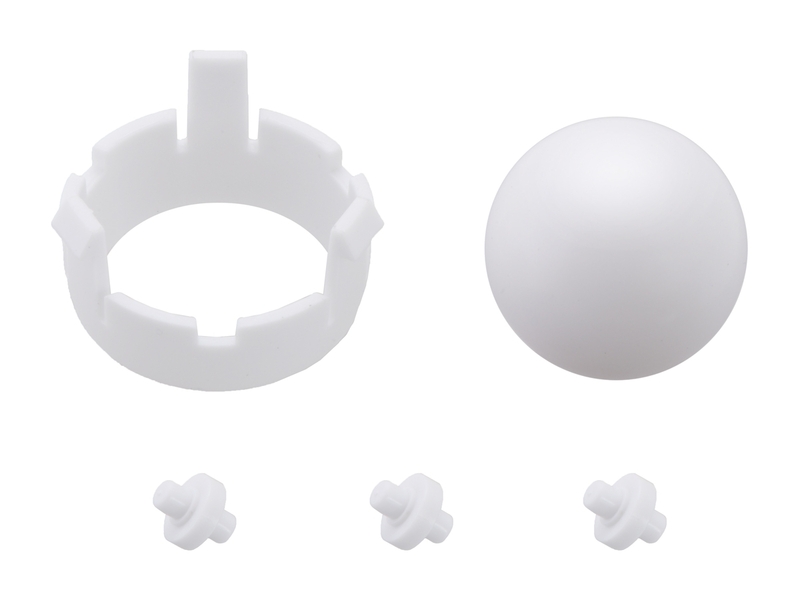 This item is a set of three plastic rollers, a 1″-diameter plastic ball, and a retaining clip that can be used on the front or back ball caster locations on the Romi chassis base plate. The ball is white, and all other parts are white. It is included as part of the white Romi Chassis Kit.